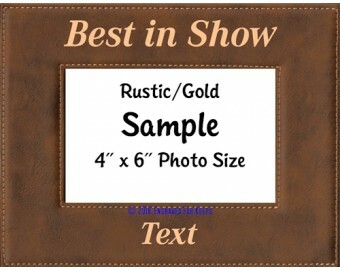 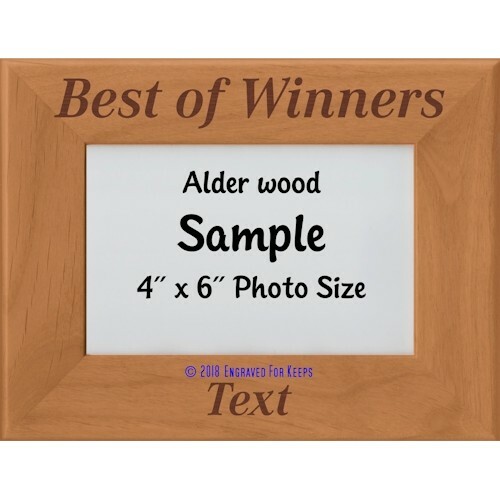 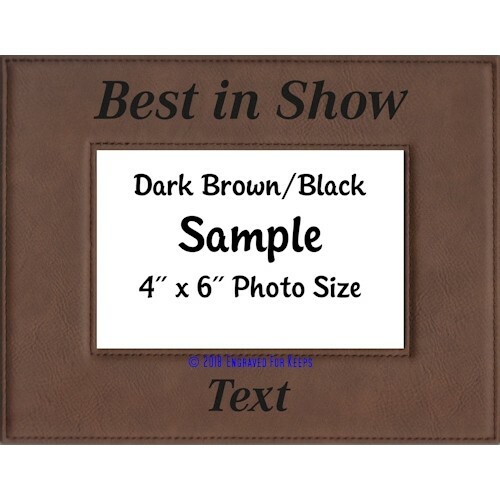 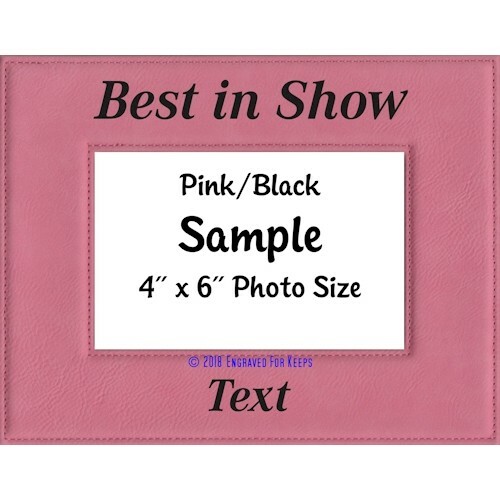 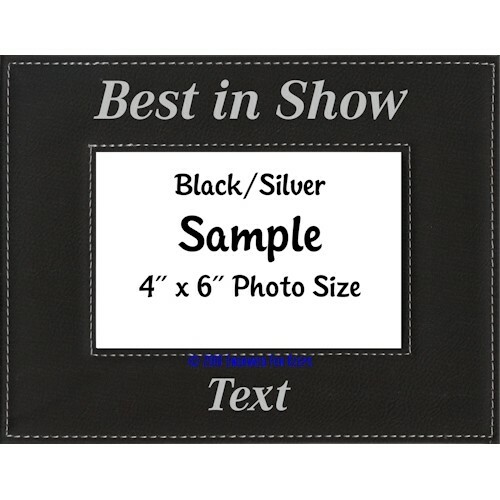 These dog show award picture frames make great awards for National, Regional, Specialty and Sweepstakes events. 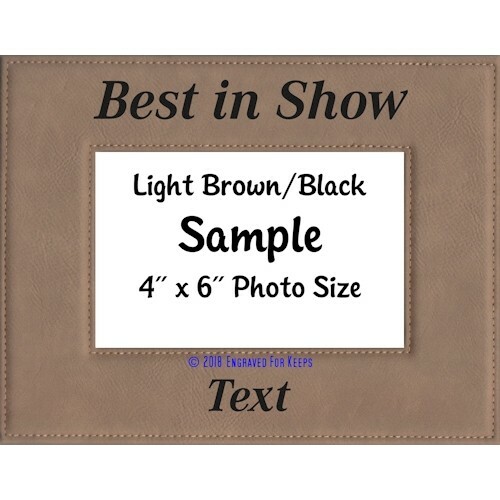 Titles such as Best in Show, Best of Breed are engraved at the top, while the event or club info is engraved on the bottom. To make it easier for the trophy chair, we have selected an appealing, yet easy-to-read font that works with all text, but we can also work with you to select a more casual or elegant font. 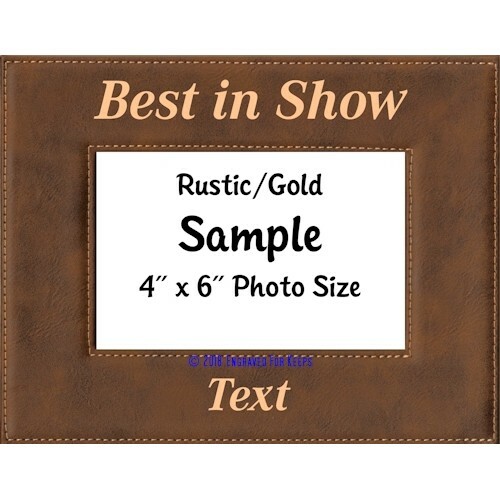 Space is available at the bottom of the frame for engraving an event or club name, or an event or club name & dates, or 3-5 rows of text of your choice.